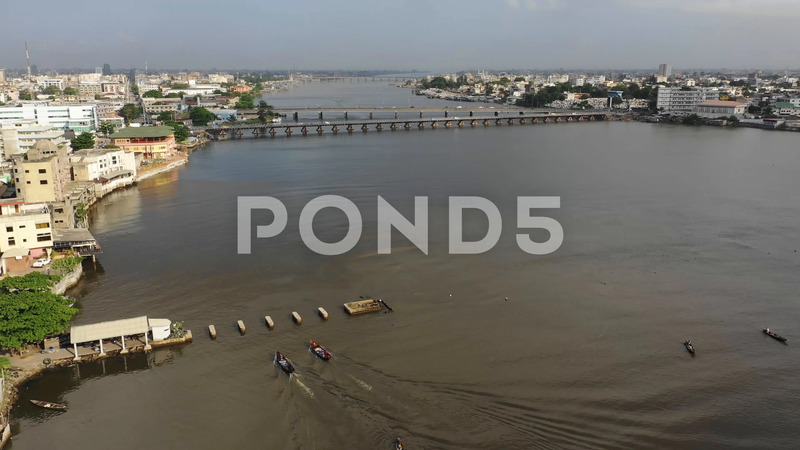 Description: View of the Oueme River where it flows into the Atlantic Ocean in Cotonou, Benin. The two bridges are linking both sides of the city. The name "Cotonou" means "by the river of death" in the Fon language.